It features a spacious living area with breezy outdoor dining area. The large Master bedroom has a luxurious and spacious ensuite bath. Kitchen is fully equipped with stainless steel appliances and large fridge. 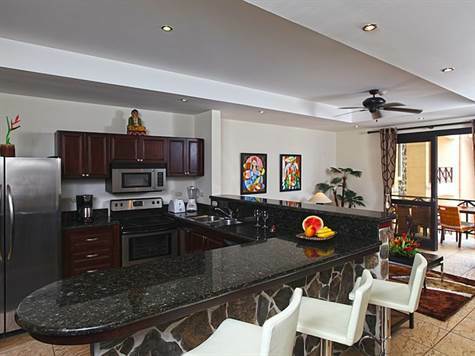 The condo is currently operated as a vacation rental with professional property management for the absentee owner. Excellent numbers with steady and consistent income stream.